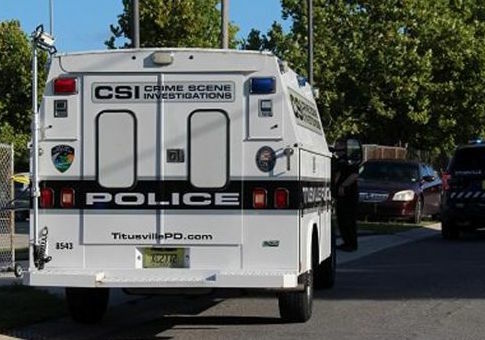 An armed bystander potentially saved countless lives when a gunman opened fire on a Titusville, Florida park filled with students on Saturday. The gunman, police say, had engaged in a fistfight earlier on during the back-to-school event billed as "Peace in the City," then left around 5:20 p.m., retrieved a gun and returned to Isaac Campbell Park, ABC affiliate WFTV reports. He began firing, at which point the bystander returned fire on the gunman, wounding him, according to authorities. The gunman's injuries were characterized as "life-threatening." The bystander was licensed to carry his gun and is not expected to face any charges, according to the preliminary investigation. Police said he waited for officers and has been fully cooperative with the investigation, Fox News reported. Neither the shooter nor the bystander have been identified. A video filmed by Dwight Harvey, a member of the family that organized the event, shows children running as 12 shots are heard being fired in quick succession. "We are extremely grateful that nobody else was injured in this incident," Deputy Chief Todd Hutchinson said. "This suspect opened fire at a crowded public park, this could have been so much worse." The organizers started the event after a relative was found dead in a burning car last month. "We were just trying to do something positive for the community," Harvey said. This entry was posted in Issues and tagged Guns, Police, Schools. Bookmark the permalink.